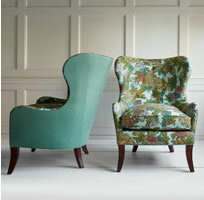 Good upholstered furniture can last for generations, but only if it was well constructed in the first place. Because 90% of the quality story is on the inside, where you can't see what you’re buying, even expensive brands can cut corners. Calico never does. 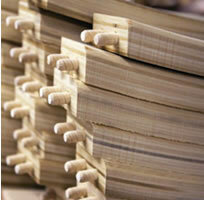 Our furniture is constructed to the highest standards, with wood that takes up to 6 months to kiln dry. Durable hardwood frames provide strength and resist warping, and are far superior to the cheap framing found in most inexpensive furniture. Calico furniture is built the way we’d make it for ourselves, with double-dowel joints and angled corner blocks to maintain structural integrity and prevent wobbling. 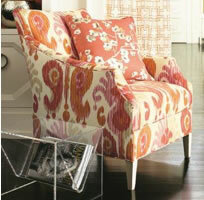 On larger scale pieces like sofas, many styles include an additional center leg for support. The majority of Calico’s Estate and Custom+ pieces use an 8-way hand-tied foundation, the oldest and best manufacturing technique. Steel coil springs are set within the furniture frame and tied together in 8 directions to produce amazing sit and support. It's hard to find a better selection of upholstery fabric than at Calico, so your piece will be uniquely yours. 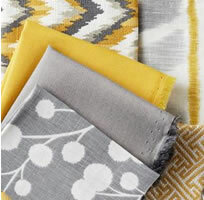 And to make sure it’s exactly what you want, our Fabric Approval Plan lets you borrow samples to try out at home. Many of our upholstery fabrics are already protected with a soil and stain repellent finish at no additional charge. And with Crypton, Bella-Dura, Sunbrella fabrics and more, our choice of luxurious yet durable performance fabrics is hard to beat. We don’t overlook the little things that can make a difference in look and wear. With 4-way flow matching, patterns line up where they should. Generous padding creates smooth, even surfaces and prevents hard edges. Plush, extra plump back pillows maintain resilience and shape. And seam and welt lines are tailored to the piece. 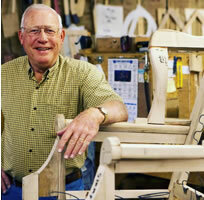 Calico furniture comes with a Lifetime Warranty on the frame and foundation, and a 10-Year Warranty on seat cushions. 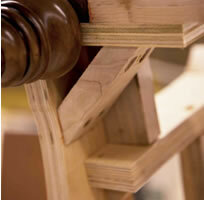 All warranties cover defects in materials, construction and workmanship. Control every detail. Our Classic Home Collection lets you build furniture exactly the way you want it - with the choice of arm style, back pillow styles, seat styles, skirts, legs, and wood finishes.